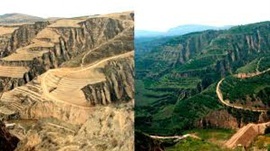 The Loess Plateau before and after 1995. Back in 2011 when I first met Dr Christine Jones Ph.D she suggested that if I started to think of myself as a "regenerative farmer" my focus would always be to improve the soil function. 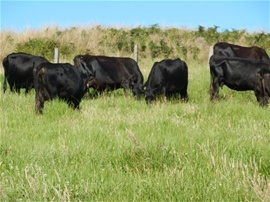 This in turn would improve biological succession (more grasses and fewer weeds) and lead to healthy biodiverse, drought resistant pastures that, as a byproduct, will feed fat, healhy animals. 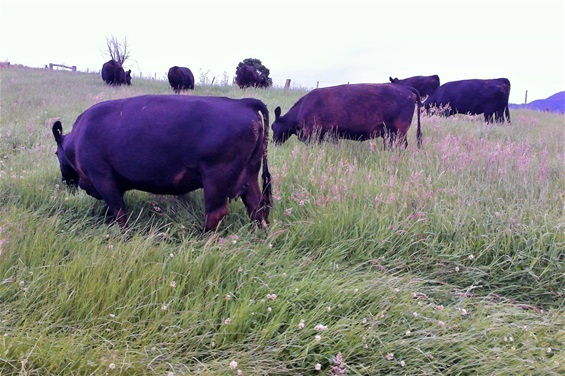 All of this done by embracing natures free gifts, namely sunlight, water, air and soil microbes. Since introducing Holistic Management practices at Dunblane, I am staggered by the incredible healing power a functioning ecosystem possesses. Holistic Management teaches that there are FOUR interdependent parts to a functioning ecosystem viz: solar energy flow; water cycle; mineral cycle; biological succession (community dynamics). Improvent of one will positively impact the other three as will degradation of one negatively impact the other three. Perhaps a very dramatic example of this is the "Loess Plateau Watershed Rehabilitation Project" in China. In 1995, Dr John Liu was invited by the World Bank to document this project. "Some 10,000 years ago, the Loess Plateau (the size of France) had been fully vegetated with massive forests and grasslands. It supported the evolution of the Han race, the largest ethnic group on the planet. Historians consider that it was the second place on earth where human beings began to use settled agriculture" (John Liu.) This area, over time, suffered from the agricultural interventions that eventually left it denuded of vegetation. 1000 years ago the wealthy had abandoned the area leaving those remaining to live in abject poverty. This project, now 20 years on, has witnessed the reintroduction of healthy ecosystem functioning and the reversal of more than 10,000 years of degredation. Interestingly, the early success is attributed to the fact that the people were included in the process. They were granted "ownership" of a piece of land. They were also paid to do the physical labour. The outcome was one where ancient beliefs and practices were reversed. The people, who invested their physical labour, not only learnt new sustainable farming practices, they celebrated the environmental changes and enjoyed the financial benefits as well as the social cohesion. Step one was to properly plan. Step two was to get "buy in" from the people. Step three was to trap the rainfall and stop surface run off. Steep slopes were terraced and contoured which allows for crop production. This positive intervention on the water cycle kick started the other parts of an ecosystem. What took 10,000 years to degrade was effectively reversed in 10 years. Humanity' has traditionally approachEd agriculture by pursuing economic growth at the expense of the environment. The net effect is destruction of biodiversity with progressive soil degradation and desertification. There is an increase in floods and droughts plus huge social unrest. If we pause and look globally at all the social disruption, violence, mass human migration,poverty and lack of education, almost overwhelmingly these people come from degraded landscapes that were once flourishing ecosystems that have been subjected to millennia of agricultural activity. The common denominator is LOSS OF BIODIVERSITY. There are many lessons to be learnt from the Loess Plateau. Presumably 2014 has a better ecosystem function.